While dirt bike riding is fun, there are so many things that you should know before you can actually have the full experience. In this post, I will lead you through a number of tips that have worked for me and which I learned through my lessons too. What I will give you here are the basics that I have used to enjoy the best dirt bike riding near me and ones that will also help anyone out there who has the love for this sport. They are simple and will be a great way to start. For manual bikes, this simple tutorial on how to ride a dirt bike with clutch will be a great way to start off your dirt bike riding tips. Clutchless trail bikes have their neutral at the very bottom of the bike’s shift pattern. In short, if the bike’s engine is off, you should tap the bike’s shift lever all the way down until it won’t click any further. For bikes with a clutch, the neutral is the very first gear from the bottom gear as you move up. In other words, once you hit the bottom, you should lift the gear one step upwards. Only do this while rolling the dirt bike forward and backward and with the engine off. If the bike rolls a few inches with a “bump” then it’s not on neutral. If it rolls out smoothly then it is on neutral and therefore is safe to actually start. If you find the neutral and the bike rolls smoothly, it will be time to kick start your bike for the road. Place your foot on the lever and kickstart from the very top. If the bike has the hot start lever you should only use it when the bike is hot. In order to ensure it is hot, you should hold the lever open until the time your dirt bike fires up before releasing it immediately. NOTE: If your bike’s engine is flooded with fuel you will need to clear the engine first. Clearing a flooded dirt bike engine will require you to do the following. Engaging your bike means putting it into gear. This should be done when you have started your bike and the motor is running. Follow that by pulling in the bike’s clutch and then clicking the gear shift lever to the very first gear. However, if your kid’s bike is one of those clutchless bikes, the engine should be at a steady mild-idle. It is now time to keep that bike’s clutch all the way back in before you let go of it. Letting go off the clutch is the most vital mastery if you want to learn how to ride a dirt bike with a clutch. Follow these pointers one after the other. Then let the clutch out smoothly in slower motion than you might anticipate. Once your bike is moving smoothly as you release the clutch and without allowing the engine to die out, it will be time to actually ease on the throttle just a little more. The bike should gain in on speed smoothly and the bike will start to move. NOTE: At this point whatever you do will be very important. Don’t rush! Instead, paddle for a while (10 feet) with your feet on the ground until your mind is settled on lifting your legs up the pedals. Once the bike is riding smoothly on the first gear, it will be time to try and shift to the second gear. This should be easy if you follow these tips. Roll back the throttle to where it originally was. Doing this will give you a smooth transition and allow you to gain enough speed for gear that you are riding on. NOTE: If you want to down-shift the gears, there is no need to use a clutch. When you drop down a gear, the engine’s rpm will be raised. This will generate compression braking and eventually slow down the bike. Just make sure you tap the gears down one at a time. Before I tell you how to slow down I want you to understand this; the front brake is very powerful compared to the rear brake. However, it is not easy to control that’s why you are advised to always use the rear brake when slowing down and never ever the front. If you don’t do this, you will easily lose your balance and fall. Here is how you do it in order to slow down smoothly. Smoothly step on the braking pedal. The bikes speed will go down. Having slowed down the bike, pull in the bike’s clutch before coming to a still stop. Return your gears to neutral once you stop and switch off the bike. I love bikes and I want you to understand that bike riding doesn’t just end once you know how to ride a dirt bike with a clutch. Instead, there are a number of vital facts that you should still get acquainted with if you want a smooth dirt bike experience. They include the following. With dirt bike riding, it is important you get the most comfortable sitting position. You can either ride while standing over an obstacle or while sitting. Nonetheless, so long as you get the best position to ride, that’s all that matters. It is what determines where and how you place your legs, hands, grip, and where your foot rests on the pedal. It also determines the most comfortable body posture that will allow you to have a smooth ride. If you are just beginning, you shouldn’t start facing the hilly terrain. You will find a tougher start and the bike could easily role out of place. Starting with your kickstart pedal facing downhill will help you get a quick start again. Once you have stopped using the kill switch to turn the engine off. Don’t pop your bikes clutch to kill off the engine. That could be too dangerous and might lead the bike to jerk forward and throw you off balance. If you have a bike with choke, you should use the choke if the air is cold. If the air is cold the engine might refuse to start. This is the best time to use the choke – a knob or possibly lever that sits on your carb. For bikes with a clutch, you should understand how powerful a gadget this thing is. It is absolutely the brain behind the best dirt bike riding tips and should be the very first thing you master if you want to get the best riding experience. So if you miss anything while learning the very first thing you should do is to pull your clutch in. this helps to disengage your bike’s power on the rear wheel. 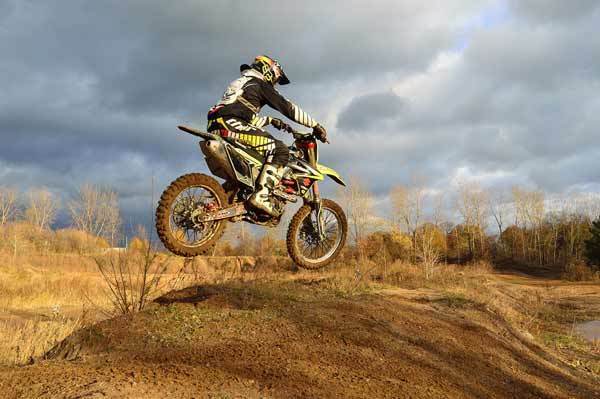 While dirt bike trail riding is an awesome experience, there are a few mistakes that newbies often do which you really need to watch out for as you learn your best dirt bike riding tips here. I will explain a few of them here so you can understand them better. I know that most people often associate big bikes with more power and top ruggedness. And thanks to the best dirt bikes, they also come in all manner of sizes. So why is going for the big dirt bikes a mistake when starting out? Bigger bikes come with bigger power, that’s true. They also come with additional weight. When you are just starting out and hasn’t yet gotten the best grip on the bike, you don’t need so much power or speed. You need to learn control. Additionally, heavy bikes might easily throw you off balance as you find the weight too much to actually bear. So keep your bike’s CC at about 250 and not more than 350 cc’s plus don’t go for the big bike. Start small and gradually improve. Apart from going for the bike and more power, improper balancing of the bike is another problem that most beginners do. 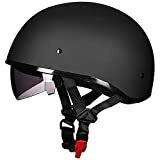 I want to say that as a newbie, understanding your bikes weight and how to keep it up is as important as keeping yourself safe. The best way to keep your bike on a balance is to start slow. It gives you enough time to always be ready to stop your bike and balance it again until you master the trick. The throttle and the clutch are indeed the two hardest things to learn in dirt bike trail riding. Nonetheless, they are very vital especially when you want to learn how to ride a dirt bike with clutch. It takes so much practice and patience to learn how to balance the two and getting your friction zone – the point when it is right to let go the clutch and understanding how much throttle to give. Don’t rush into trying to show your prowess with these two devices. Instead, take your time and learn the best way to balance the two. Do this at your own peril. The easiest way to do this is to look down or away from the trail when riding. Bike mastery means you can slow down or break without actually looking at your foot. You should also be able to change gears instinctively. This is the best way to reduce your chances of crashing to zero. Always keep your head up and ensure that your body turns well with the bikes direction. Bike riding is indeed fun. However, it can also be fatal and full of injuries resulting from the fall. It is important that while you invest in your best dirt bike, you should also invest in the right dirt bike riding gears. A helmet will easily save you from cracking your skull in case your fall against a rock. An elbow pad will guard you against bruises and the best bike riding gloves will keep your hands warm and amp the grip. If you enjoy dirt bike riding, you should also ensure that you take your time to invest in your lessons, gear, and anything that might come in handy along the trail. This is what will sharpen your skills and help you to get the best dirt bike riding experience. More importantly, you might want to use these tips that we have given you today to get started so that you have a smooth learning experience of your own any time.